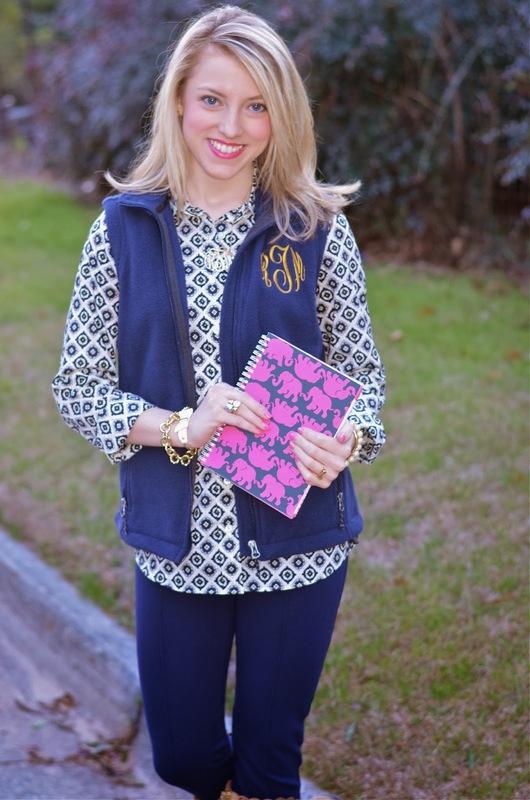 I was so excited to receive a fun, preppy, and oh-so perfectly monogrammed "blogger box" from the shop Carolina Clover. 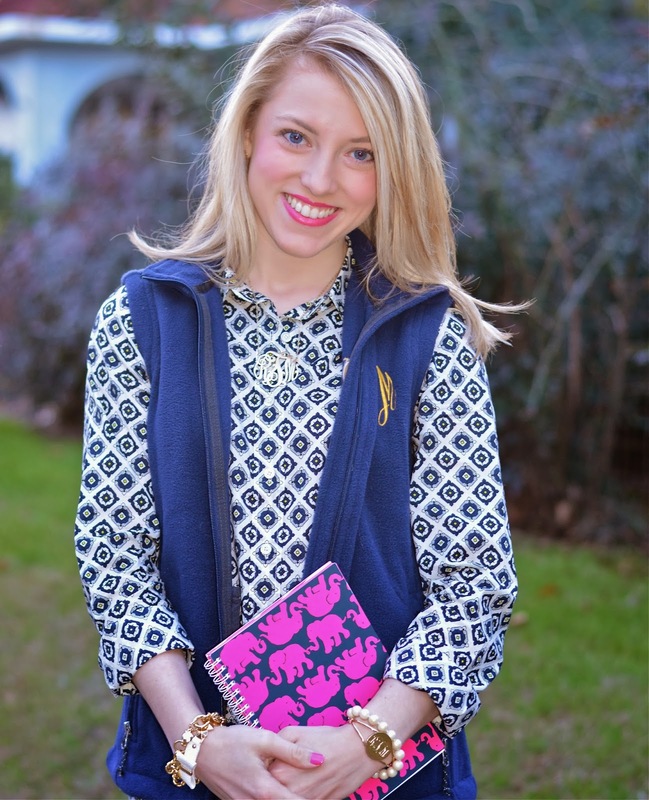 Inside the box, I was surprised with a leather bow bracelet, a monogrammed cuff, a pair of monogrammed studs, and a Lilly Pulitzer notebook in the "Tusk In Sun" print. After going through an ice storm, half a week with no power, an earthquake, and hurting my finger, this box of surprises surely helped to make things a bit better. 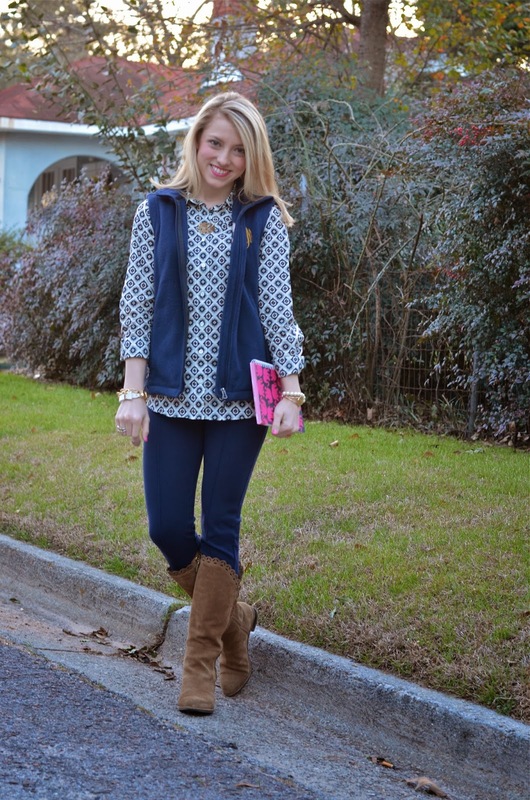 :) Be sure to shop Carolina Clover for all your monogram needs! 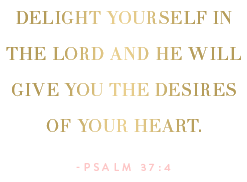 You can also follow along with Carolina Clover on Pinterest, Instagram, Twitter, their blog, and Facebook. How awesome! 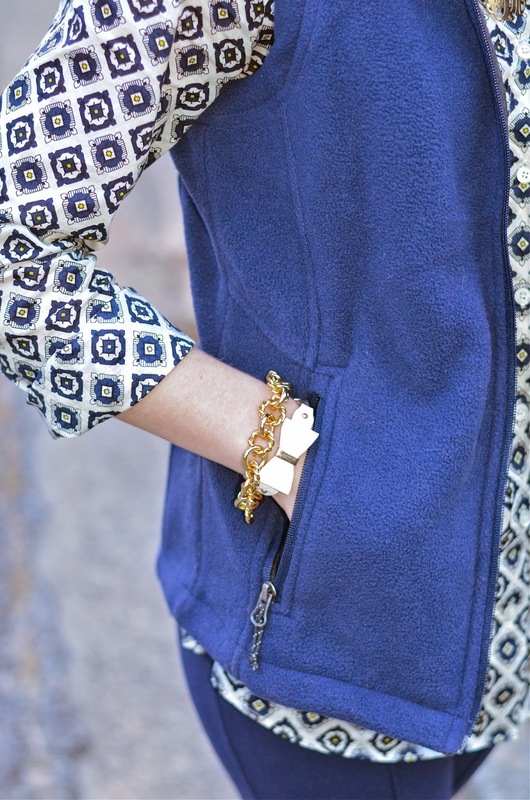 I love everything that came in your blogger basket... Especially the notebook! 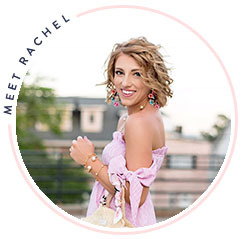 What a beautiful post, Rachel! Thanks for working with us, the pieces are gorgeous on you! Where are your boots from? They are adorable! Your outfit is absolutely adorable, as always! Love these and Carolina Clover is the best! 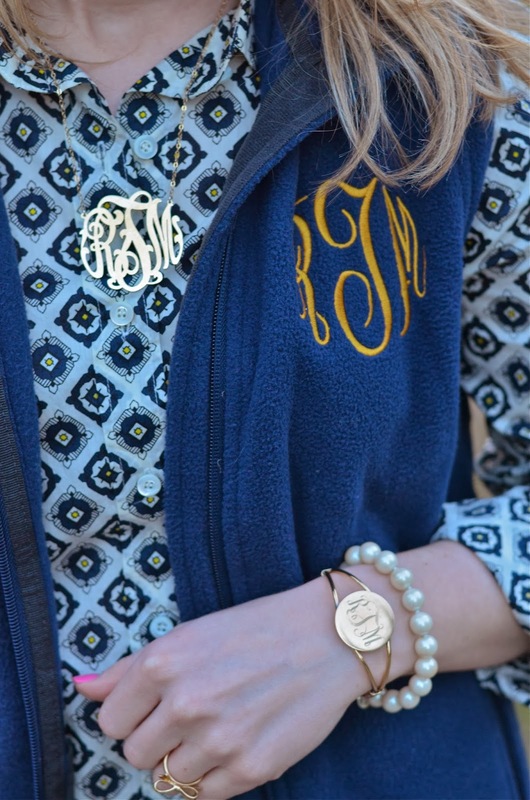 I love all the monograms in this outfit! You styled the shirt so nicely!